We can all agree that every Angel has a bit of Tomboy in her, right? Well, Madison Star + Mallory Iyana created a scrumptious bodycare line to match up perfectly with the brilliant characteristics all girls posses. 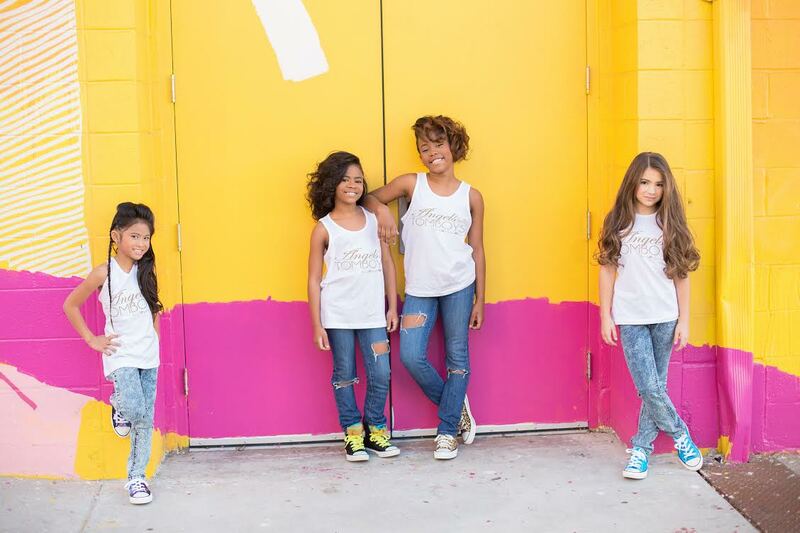 Angels and Tomboys is a bodycare company for ‘tween and teen girls. After being bored senseless with their body care products, they had this cool idea to make everyday products that girls use fun. The ambitious kidpreneurs came up with fresh names, characters and unique fragrances for these products and pitched the idea to thei mom. After their mother falling in love with the idea she named the company Angels and Tomboys as a reflection of her children’s unique + complex personalities and interests! The goal of the company is to produce products …that every girl will love and enjoy with an emphasis on every girl. Because each girl is unique and has different interests, hobbies and styles, the products are created with every girl in mind: the ballerina, the tree climber, the fashionista, the sports fanatic, the music lover and the book worm. Angels and Tomboys is not just a brand, it’s a movement. 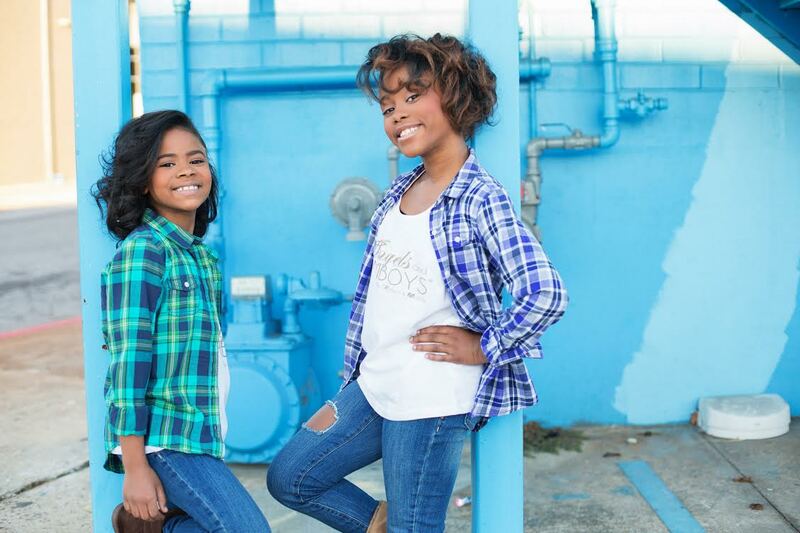 This dynamic sibling team plans to change the world one girl at a time. Angels and Tomboys is a body care line that empowers young girls and boost their confidence with fun and feel good scents. What made you ladies to launch this line? Madison: We got tired of wearing our mom’s perfume and going into the stores with her and not being able to touch anything. So, me and my sister decided to make our own lotions and body sprays. It’s a lot of fun. I get inspired by everything, like things that my family does, dancing, sports, my friends and then I try to make a scent for it. Mallory: I like it because we get to help people, like the women in the shelter. We’re going to givethe girls there some of our lotion and body spray so that when they go to school they feel good about themselves and they smell good. Every year for my birthday party I ask people to give something that they can donate to charity like coats and shoes. I like to help people. Ranging from Peanut Butter Jelly Time to Candy Star Glam to Rockin’ Blueberry, Angels &Tomboys offers delicious scents for tween and teen girls! How do you create + come up with these tasty scents? Madison: I think about everything that I do and like and that my friends do. My family inspires me too. For example, my signature scent is Candy Star Glam and I came up with it because I like celebrities and I want to be famous. So I thought, hmmm Candy Star Glam. It had red glitter. All of the signature scents have glitter. Mallory: I like hot chocolate and I like ice cream, so that’s how I came up with Frozen Hot Chocolate. Frozen Hot Chocolate is my signature scent and it smells so good that I wish I could eat it! I try to take everything I like and make it something I can smell and remember. I want to have fun and I want to smell good, so I think about that when I think about my lotion and body sprays. Madison: I talk to my mom and my sister and then we do something fun together. My mom helps us and she loves us. I talk to my friends too and hang out with them at sleepovers or they come over my house and we play video games and dance. 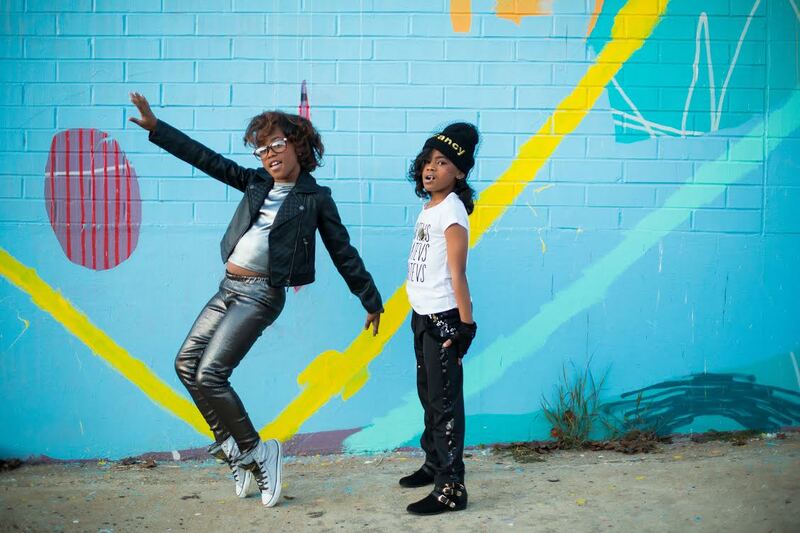 Mallory: I talk to my mom and I dance, something creative. What are 3 pieces of advice you would give girls to be confident in themselves? Madison: I would say, be you, be smart and be beautiful. I say my prayers then tell my sister Mallory something nice that I like about her and I tell my mom that I love her. Before I go to bed, I say my Prayers, drink warm herbal tea and write in my journal so I can get my feelings out. Mallory: You have to like you and be nice to other people. Every morning I say my prayers, wake my sister Madison, and tell her something nice that I like about her and tell my mom that I love her. Madison: I look up to my mom. She’s a business woman and I watch what she does and try to help her. She’s really nice to everybody and she helps accomplish my goals and do what I need to do for school. Mallory: My mommy. She dances with me and I can tell her all of my jokes. Madison: Empowerment means to me that I can do anything, so I try to. I dance, I sing, I make lotions. I like to feel good and I like to help other people feel good and when you do that you feel like everything is right. Mallory: To me, it’s like when you think you can’t do something but you do it anyway and you say, oh that felt good! So, I’ll do it again and again until I’m good at it. It means I don’t give up.